Petrovsky Hotel prides itself in its hospitable atmosphere, individualized approach, comfort and premium service. 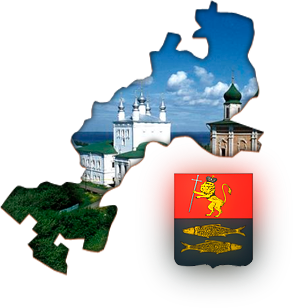 The hotel is located in a bustling area of Pereslavl-Zalessky along the federal highway M-8, the main thoroughfare of the city. From the hotel, you can walk to major historical landmarks of the old Russian city, which story is tied to such names as Peter the Great, Alexander Nevsky and Yuri Dolgoruky, the founder of Pereslavl. The hotel is equipped with a shopping center, a restaurant and plenty of free parking. The new shopping and entertainment center, spanning the total area of 3,500 sq. m., opened its doors in August 2013. Its convenient location and the absence of places of similar caliber in the city result in large numbers of local residents, tourists and travelers patronizing the Petrovsky Center every day. The Hotel rooms are handsomely furnished and equipped with all amenities necessary for a pleasant stay, whether for business or pleasure. They feature air conditioning, television, minibars and high-speed wireless Internet access. All rooms have been renovated and decorated in a European vein. The Hotel offers accommodations in the tradition of bed and breakfast (the price of stay includes continental breakfast). Our security service, equipped with modern surveillance technologies, ensures the safety of your stay. To book a room at our hotel, please call +7 901 485-83-83, +7 48535 603-83 or use our online form.